The Natural Resources Foundation of Wisconsin has awarded $27,945 to 29 applicants through the 2017 C.D. Besadny Conservation Grant Program. The program annually awards grants up to $1,000 that support the conservation of Wisconsin’s natural resources as well as education and outreach. The 2017 conservation grants range from pollinator protection to community trail building. The C.D. 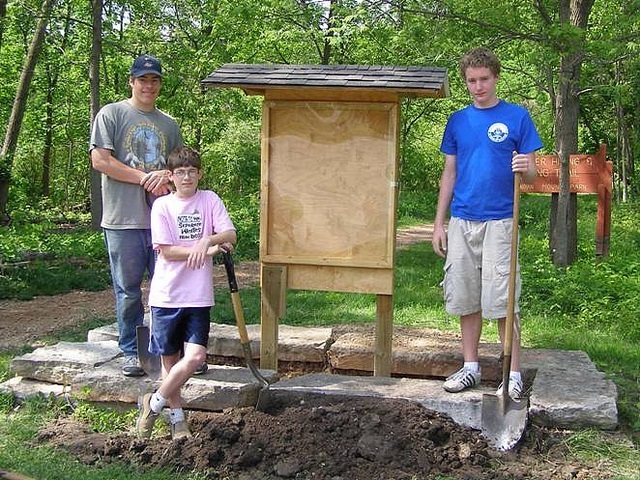 Besadny Conservation Grant Program was established in 1990 to support projects in Wisconsin that benefit the public, involve management and restoration of Wisconsin’s natural resources, or contribute to knowledge about Wisconsin’s natural resources through education. The grant is named after the late C.D. “Buzz” Besadny, former Secretary of the Wisconsin Department of Natural Resources, who helped found the Natural Resources Foundation in 1986. Grants range from $100-$1,000 and must be matched 1:1. Since its inception, the C.D. Besadny Conservation Grant Program has awarded $504,000 to more than 500 organizations across the state.